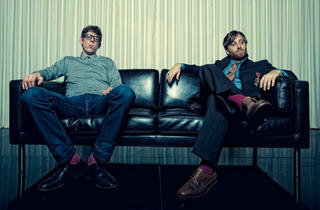 Much like fellow Lollapalooza headliner Jack White, the Black Keys represent the new face of American rock & roll. Alongside the best of the genre, the duo’s sound was born in a garage and embodies a no-frills approach that began as Dan Auerbach’s guitar and vocals wailing over Patrick Carney’s breakneck drumming. The fact that the two are now selling out the United Center and headlining Lollapalooza tells you just how far they’ve come—and how great their bluesy sound really is. Quick workers, the Black Keys have made seven albums in close to as many years, but it was 2010’s Brothers that truly shaped their success. Fleshing out their sound with additional bass, keyboards and percussion, Auerbach and Carney moved closer to the center of the pop spectrum, penning catchy tunes like “Tighten Up” and “Next Girl,” that sit comfortably on alt-rock radio. But the Black Keys’ fans are many and rarely fair weather. They cherish the duo’s stripped-down grunge as much as the more polished work. Thankfully for everyone, the band’s latest, last year’s El Camino, sits comfortably between the two. This is all great for home listening, but you might be asking, what can two dudes do to impress on stage? Turns out a lot. Shows typically kick off with just the pair on stage, Carney getting so worked up behind his drum kit that sweat has soaked through his shirt by the third song. As sets evolve, extra musicians join them onstage, kicking up the dynamics and ratcheting up the intensity song by song. With an audience as big as the one Lolla offers, don’t be surprised if there are a few surprises as well. A six-foot-tall glowing disco ball has been known to grace the stage. 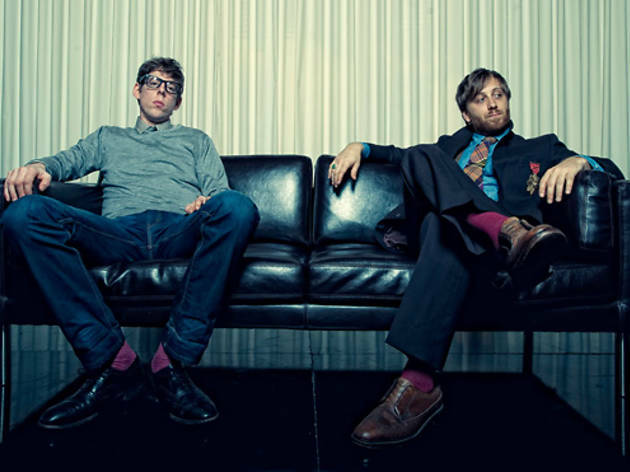 The Black Keys play Friday, August 3, from 8:30–10pm on the Red Bull Soundstage.